Phnom Sam Bok is the cultural and main tourist resort of Kratie province. The resort has good location and assured safety for tourists to visit. Phnom Sam Bok has been arranged as the tourist resort since the Sang Kum Reas Ni Yum time. The special features of Phnom Sam Bok are: – Closed to the western mountain foot, there is a big pond full of clearwater and natural plants. – The mountain has two peak, a dull peak and a pointed peak. On the mountain top, we can view the beautiful scene especially the Mekong River. – The mountain rich in big trees and birds. – There is a concrete stair stretching from the mountain foot to the top, and there are many resting place at the mountain. The legend said that one upon the time, there was a king named Cha Krey Sara Varman a son of Preah Bat Hathak Athi Reah Varman. After he succeeded his father, he informed officials and high officials to serch gold mine. Then they found a place closed to the mountain foot of Sam Bok very rich in gold. The local people there called the place ?Kan Leng Sam Bo Meas? means ?a place very rich in gold ?. Long time after that, the word changed to ?Phnom Sam Bok Meas ?, then only ?Phnom Sam Bor? until now. The background of Phnom Sam Bok: At the beginning of 15th century, there was a monk named Neak Voan, the student who has the same teacher to the monk, Neak Sen. Neak Sen is the teacher of crocodile, Nen Thun and he does meditation on the mountaintop of Sam Bok. The monk, Neak Voan has very strong ritual formulas and he is well known to the near and far local people. The local people accompany each other to learn the ritual formulas from Neak voan. Since that, Phnom Sam Bok becomes the worshipping place until now. Phnom Sombok, Kratie is one of the well known among the Tourist Attractions in Kratie. Phnom Sombok is a rather nifty temple north of town. Situated on the only hill to be found anywhere near Kratie, all you have to do to visit the Phnom Sombok in Kratie is head north and look out for the hill. A long set of stairs at the Phnom Sombok lead to a pavilion or porch. The interior of the pergola is painted with torture scenes as well as depictions of what is faced by those who are not virtuous enough to lead a consecrated lifestyle, characterized by piety. Phnom Sombok, Kratie is also the name of a resort. The Phnom Sombok Resort is a natural and historical address, located at the Thmor Kre Commune. You can always stay over at the Phnom Sombok Kratie resort with a host of its facilities to impress you all the way. There is a big pond full of fresh water and natural plants. The mountain has two peaks, a blunt peak and a pointed one. On the top of the mountain, you will be able to view the beautiful panorama, especially that of the Mekong River. The Phnom Sombok, Kratie makes for a good stop on your way back to or from the site of dolphin watching on the Irrawaddy River. The mountain terrain near the Phnom Sombok is rich in big trees and various species of birds. There is a concrete stairway stretching from the foothills of Sam Bok. It is extremely rich in gold. Legend has it that King Cha Krey Sara Varman, son of Preah Bat Hathak Athi Reach Varman, asked his subject to find a gold mine. 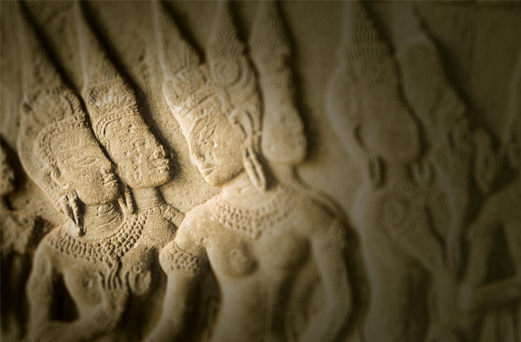 Since then, the place a place came to be known as Phnom Sombok, meaning ‘very rich in gold’.